This bestselling butterfly design was introduced by the Antioch Bookplate Company in the early 1970s. 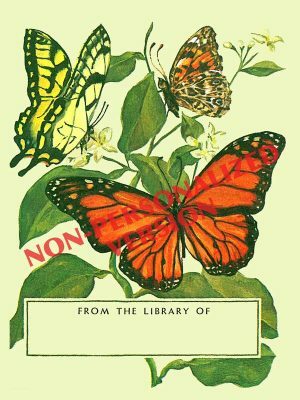 The painting was done by artist Tom Till, who created several popular bookplate designs. This version is available only with no text added. If you would like to have a name printed, please see our personalized version.